The OPPO F9 is finally official in the Philippines. The handset features 6.3-inch Waterdrop display, 25MP front camera, VOOC fast charging. 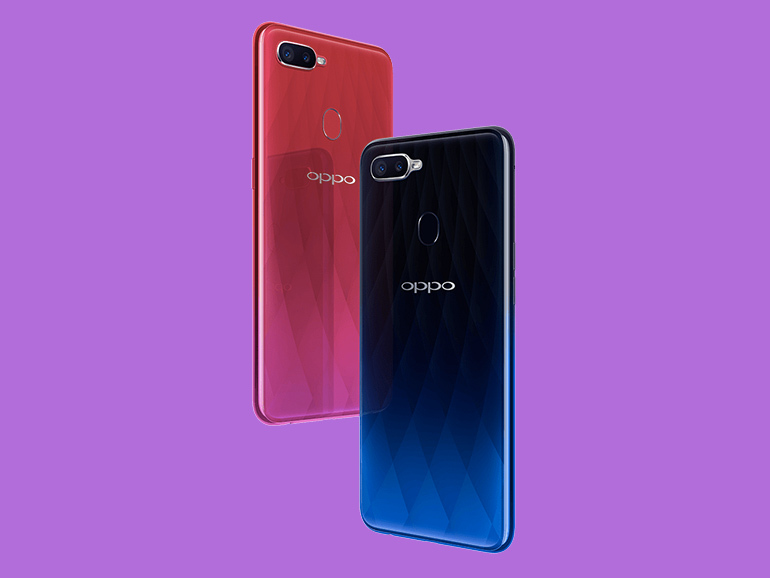 Despite the leaks and rumors, the OPPO F9 is finally official. Most details about the phone have already been posted, except for the price. And now, that’s released as well. The handset will have a retail price of PHP17,990 — close to the launch prices of past F-series handsets that preceded it. For those interested, pre-order period starts on August 24 to 29, 2018, and comes with freebies worth PHP3,490 that include a backpack, a game holder, a ring holder, and a bluetooth headset. The handset is also available through Home Credit at 0% interest in 9-month installments. 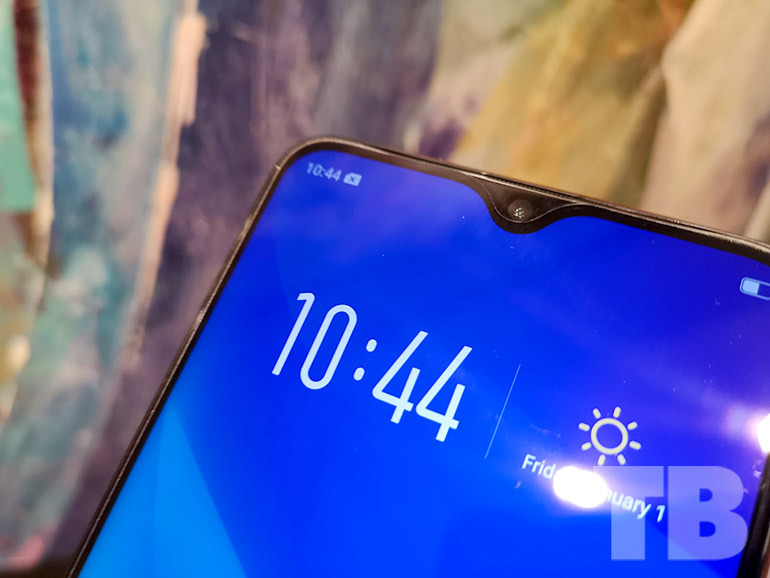 The OPPO F9 features a 6.3-inch full HD+ Waterdrop display, a 90.8% screen-to-body ratio, 2.0GHz octa-core MediaTek Helio P60 processor, 6GB RAM, 64GB of expandable storage, a 25MP selfie camera, and a 16MP + 2MP dual sensor module at the rear. It is powered by a 3,500 mAh battery with VOOC fast charging, and runs on ColorOS 5.2 based on Android Oreo. It comes in three colors, namely Sunrise Red, Twilight Blue, and Starry Purple. Sadly, we were not able to see the Starry Purple because the unit was not available yet. 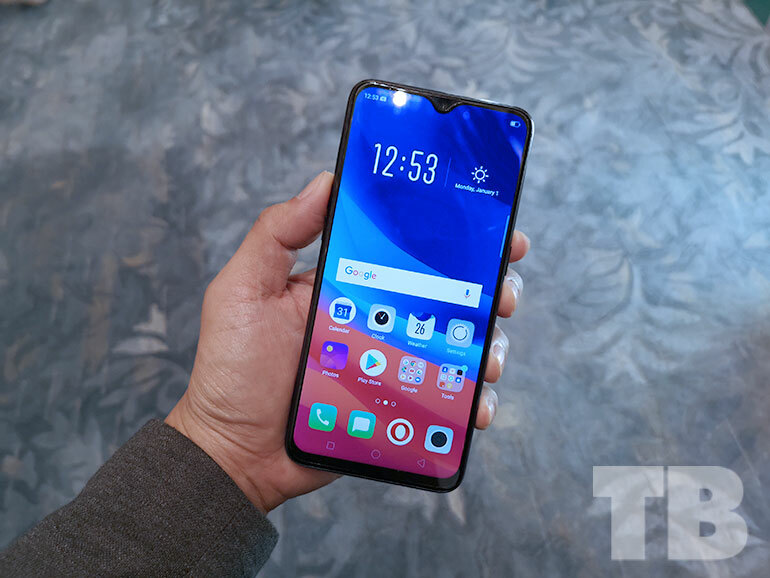 What about the OPPO F9 Pro? 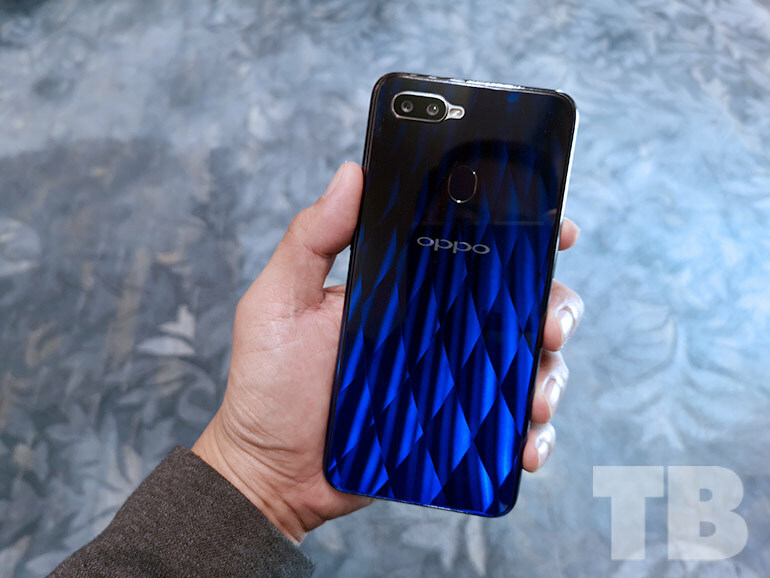 You may be wondering why the OPPO F9 Pro was not announced. I asked OPPO PH representatives about it and according to them, the Pro variant is not really a variant. Its the same phone with the word “Pro” added in the end. Apparently, it just a naming convention to be used in other regions such as India. The reason why was not explained, but it could be that a “Pro” variant sells more units than the regular one in some areas. For this one, I guess we’ll find out in the coming days if there is a difference between the Pro variant and the regular one. sana manalo ako ng oppo F9 ang ganda ng features ng phone na to pati camera #1 phone for me, the best talaga pag oppo.